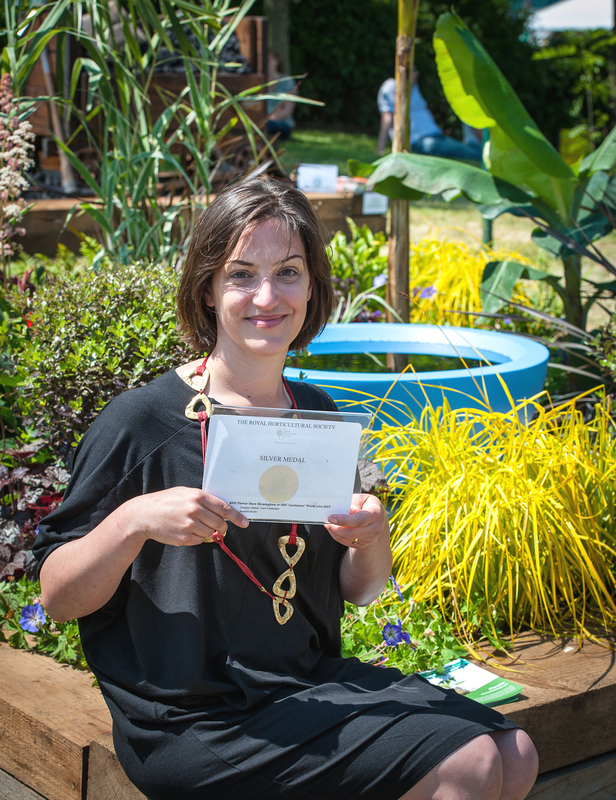 Designed by Georgina Chahed of Touch Landscapes, The Teacup Garden has been awarded a silver medal at BBC Gardeners’ World Live. Inspired by the theme the ‘Industrial Heritage of the West Midlands’, in her first Royal Horticultural Society (RHS) display Georgina has delivered a breath-taking subtropical border. 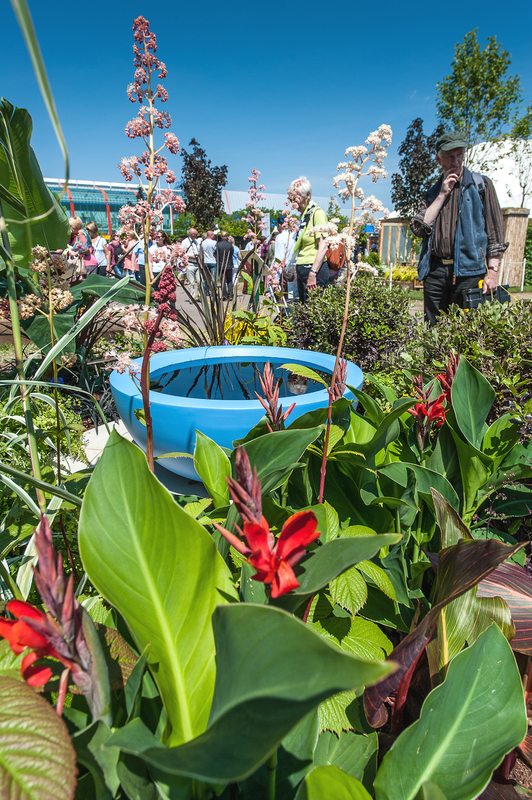 The Teacup Garden contains a sleek contemporary water feature set on sandstone, enveloped by bold architectural foliage and vibrant blooms. 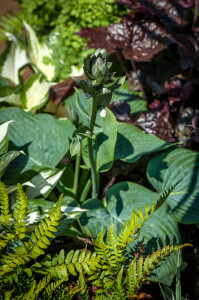 Georgina wanted to convey a sense of excitement in the border and show that even with a small space, a lot can be achieved. The border takes inspiration from the rich heritage of Wedgwood and celebrates the legacy of the master potters who made their name in the West Midlands. Exotic gardens typically look their best in late summer so the challenge was to source plants which peak in June, whilst also complementing the Jasperware inspired blue and white colour scheme. 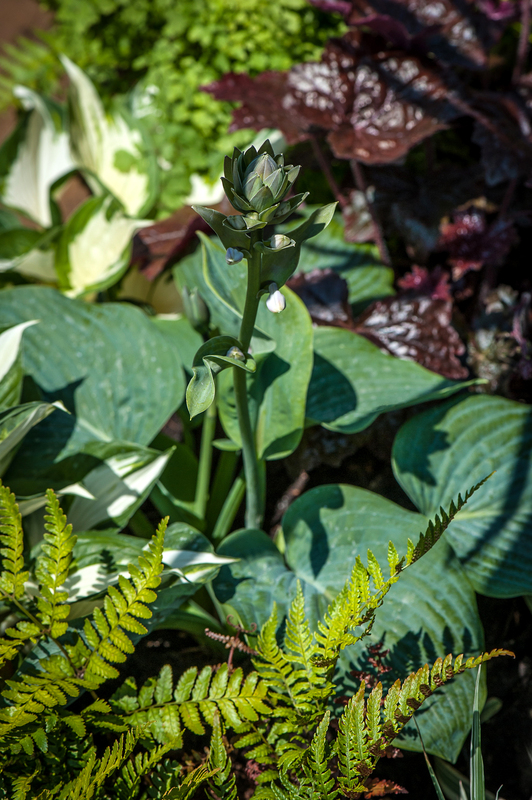 The plant list comprises a winning combination of hardy and tender exotics, and familiar garden favourites suited to the same conditions, such as ferns, heucheras and hostas.